The 2014 season starts this Saturday (19th April) the first xl start away at Bunbury and the second xl entertain Sandbach. Both games start at 1:30pm. Nice weather is on the cards so feel free to come and support the teams! 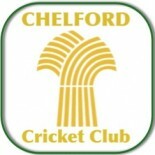 Hello to all at Chelford Cricket Club, Good luck and play well,. Jamie Robinson, your new recruit from Australia is our grandson we are proud of him and know is going to be a big asset in helping your club grow and develop. Best of luck and our love to Jamie, please enjoy this experience, and stay safe. Grandma and grandpa. This entry was posted on April 18, 2014 by marcus9982 in Uncategorized.